Frank E Douglass is very actively involved with the Dwight Central Management Team hosting 4 youth festivals annually held in the Dwight, Edgewood and West River neighborhoods. Father of 4 children and 7 grandchildren and host of others who recognize him as Pop Pop. New Haven born, raised and educated at Winchester school, St. Martin de Porres, Wilbur Cross High School and Hill House High School. Alder of the 2nd Ward, has served on the New Haven Board of Alders for four (4) terms as Chair of Community Development and a member of the Legislation, Tax Abatement Committee and Black & Hispanic Caucus. 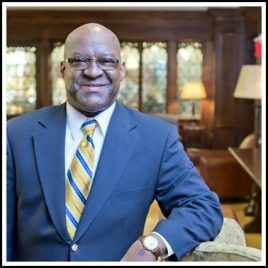 Alder Douglass has serves at the Knights of St. Peter Claver Council #266 (Catholic Fraternity) since 1981 and is currently serving as a Faithful Navigator. He has also played a big role in establishing the Gospel Chorus in the early days of the Knights of St. Peter Clavier Council #266.